This is the page for the Sturbridge FD. They have 3 engines, 1 ladder, 1 rescue, 1 tanker, 2 brush trucks, 1 pickup truck, 2 ambulances, and 1 station. 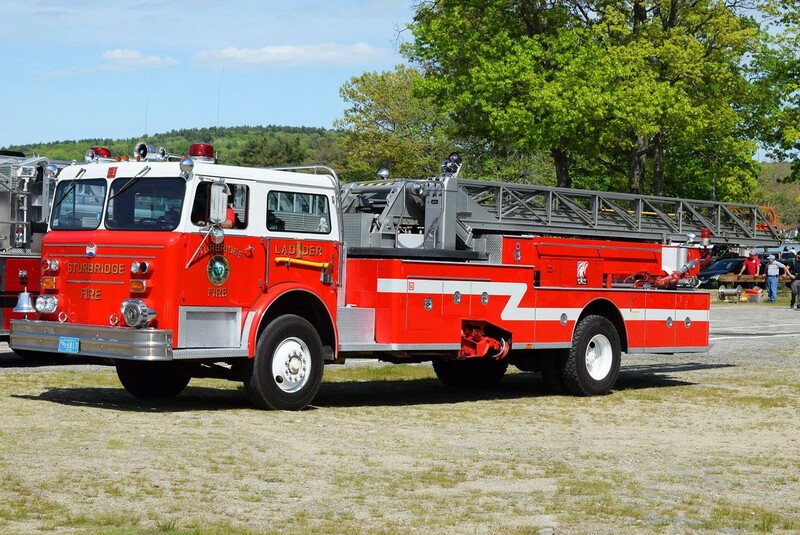 Sturbridge's Ladder 1, a 1976 Maxim 100ft MMA ladder truck (Update August 2017: Sturbridge has received a used E-One tower ladder and are going to put it into service shortly, if they haven't already).